In recent years, the development of databases is one of the most important issues in information technology, having a decisive impact on the organization and functioning of many institutions and services. These are communication companies, trading companies, banking, transport services, insurance companies, universities,..All of them depend on the correct and continuous functioning of a database system. Such an informational system is meant for processing, presentation, storage and distribution of information to a specific subject area. Database systems are an important part of everyday life in modern society. Daily, most people perform activities that involve interactions with a database:depositing or withdrawing money from bank accounts, booking tickets, search for a book in a computerized library,the management of employees of a company, buying products and so on. Perhaps one of the most time-consuming and exhausting task is to find that perfect perfect place for your printing and publishing needs. It is essential to have all the necessary tools to find that company or person to accomplish your own tasks. Nothing is more time-saving than having them a few clicks away. Let us suppose that you are are a marketer or a business owner, where can you find the best suppliers for printing machinery or a printing company that offers the best solutions for your advrtising campaingn or products?The internet might be a reliable source but you can never have enough resources to reach potential clients and get your products and services into the hands of the targeted public. Using a Printing Companies Database or a Publishing Database, you can maintain your business contacts with less efforts and quickly access those involved in all kind of printing related activities and publishers across the world or in your own area. Whether you are trying to find basic color printing in your own country or contact a printing machinery supplier in Germany, databases put hundreds of business leads in an easy-to-manage format. A downloadable list is the finest and most efficient way to manage your interests.Having such a database right on a computer is a good alternative solution to old-fashioned prints that take up space and constantly need updates. Not only it will provide you with hundreds of contacts, but also offer the possibilyty to update the information and add new contacts and expand your horizon. Why wasting your time researching when you could be making money? Limit your time hunting for business leads and contacts as the content of the printing databases are well-organized and easy to read. For instance if you need a printing machine for cardboard boxes where should you look for one? Any professional would know that what he is looking for is connected to the flexographic field in printing and consequently he would start his search from there but even more helpful would be a flexo- printing companies list where you can find manufacturers, spare parts providers refining the search to your own needs. 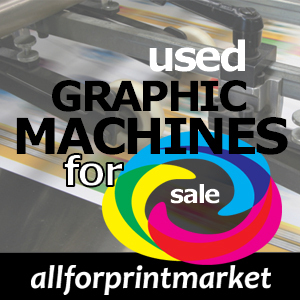 All in all, a database can be used by anyone trying to make new connections in printing and publishing and is a recommended investment for anyone trying to penetrate any niche in the printing and publishing world.